With an acceptance rate of just 27 percent, the University of Virginia is one of the most selective public universities in the country. Successful applicants typically have grades and test scores that are significantly above average. UVA uses the Common Application. Because of its many strengths, the University of Virginia ranks among the top Virginia collages, top southeastern colleges, top national public universities, and top business schools. Campus Features: Established over 200 years ago by Thomas Jefferson, UVA has one of the most beautiful and historic campuses in the U.S. Jefferson's home at Monticello is nearby. Athletics: The University of Virginia Cavaliers (or Hoos) compete in the NCAA Division I Atlantic Coast Conference. 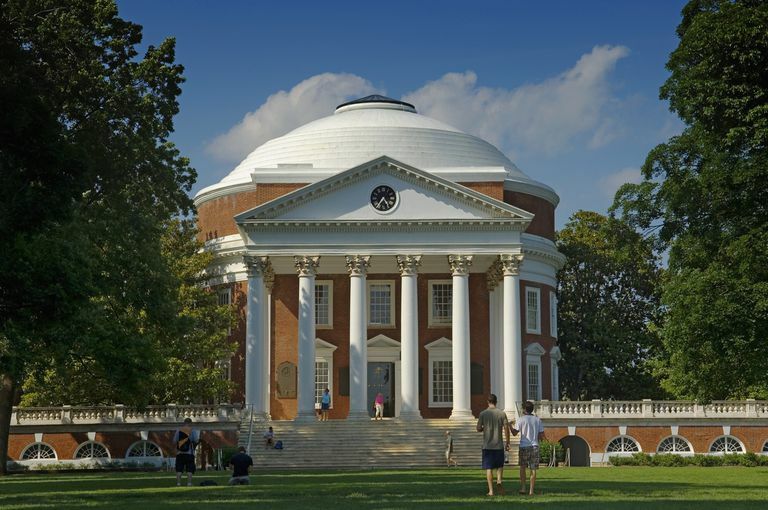 Highlights: One of the top public universities in the nation, UVA has strengths spanning the arts, humanities, social sciences, and STEM fields. The school is an excellent value for in-state students. For students who entered the University of Virginia in the 2017-18 academic year, the acceptance rate was a low 27 percent. Below are standardized test scores for admitted students organized by score percentile. If you compare SAT scores for top public universities, you'll see that only a couple schools are equally selective. Successful applicants will need scores that are well above average. The ACT is slightly less popular than the SAT among UVA applicants, but it is still submitted by about half of students. A comparison of ACT data for top public institutions in Virginia reveals that only the College of William and Mary is equally selective. The GPA, SAT score, and ACT score data in the graph is self-reported by actual applicants to the University of Virginia. You can see the real-time graph and calculate your own chances of getting into UVA with a free account at Cappex. In the graph above, the green and blue dots represent accepted students. As you can see, the majority of students who got in had "A" averages, an SAT score (ERW+M) above 1200, and an ACT composite score of 25 or higher. Chances of admission improve as those numbers go up, and an applicant will be in a much stronger position with a combined SAT score above 1300 and an ACT composite score of 29 or better. Even with an "A" average and strong standardized test scores, an applicant has no guarantee of admission. As the graph below reveals, hidden beneath the blue and green of the graph is a lot of red. Many students with scores and grades that were on target for UVA were rejected. The opposite is also true: some students were accepted with test scores and grades a bit below the norm. This is because UVA has holistic admissions, so the admissions officers are evaluating students based on more than numerical data. Students who show some kind of remarkable talent or have a compelling story to tell will often get a close look even if grades and test scores aren't quite up to the ideal. A winning essay, strong letters of recommendation, and interesting extracurricular activities can mean the difference between an acceptance letter and a rejection. The University of Virginia also looks at the strength of an applicant's academic record, not just grades. The admissions folks will be looking for students who have challenged themselves throughout high school rather than taking easy courses. High grades in Advanced Placement, International Baccalaureate, and Honors classes can all play an important role in the admissions process, for these classes provide a good measure of college readiness. Waitlist and rejection data for the University of Virginia. Graph courtesy of Cappex. The earlier graph in this article makes it look as if most students with strong "A" grades and above average SAT/ACT scores are likely to be admitted. The reality is quite different. When we strip away the blue and green dots for accepted students, we see that a significant number of students with perfect GPAs and strong standardized test scores were rejected from the University of Virginia. The reasons for this can be many: shallow extracurricular involvement; no demonstration of leadership experience; sloppy or generic application essays; and so on. The University of Virginia does well on the academic front, and the school has one of the highest graduation rates among public universities. The school represents an excellent value for in-state applicants, but realize that only about a third of students receive grant aid, and the price tag for out-of-state students is quite high. For universities like UVA with low acceptance rates and a high admissions bar, applicants should never assume that they are likely to get in. 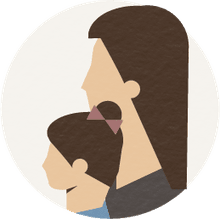 You'll want to make sure you apply to schools with a range of admissions standards to help ensure you'll receive at least one acceptance letter. Schools that are popular with applicants to the University of Virginia include Virginia Tech, George Mason University, Wake Forest University, the University of Maryland, Georgetown University, Duke University, and Vanderbilt University.